California's Palm Springs is known for its big brand resorts. But for an off-radar retreat that transports you into the next world over, go just outside of the city and check into Two Bunch Palms in Desert Hot Springs. As soon as you step onto the 77-acre property, time slows down. Guests don soft white robes; colorful butterflies and birds soar against a backdrop of mountain views; and signs ask that voices be kept to a whisper. 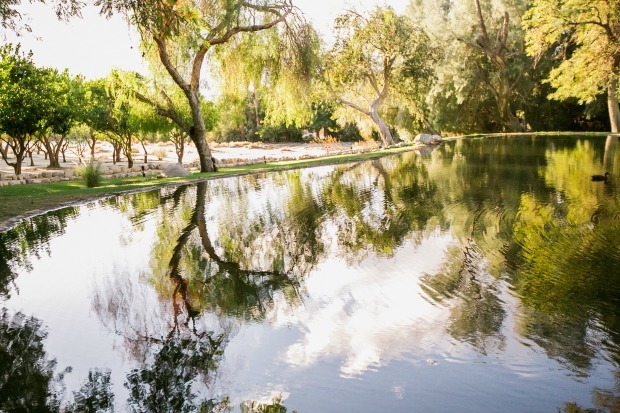 You'll hear the soothing sound of trickling streams throughout the property, whether you're winding through a seven-layer meditation labyrinth, a scenic desert hiking path, a citrus grove, or a cactus garden. But wait, there's more: a turtle and koi pond, tennis courts, a stone Grotto pool with mineral water hot tub, and a cool swimming pool are all yours to explore. 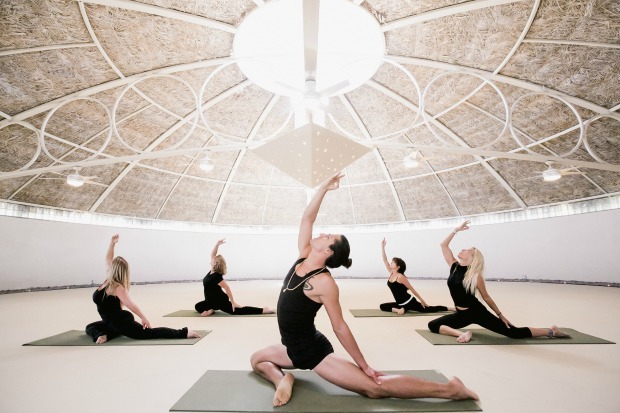 Also complimentary with any stay are a selection of daily health and wellness classes, which range from early morning Tai Chi and yoga to an introduction to juicing and an evening wine tasting. Gratis bike rentals offer an active way to explore the area -- points of interest including Cabot's Pueblo Museum, Desert Dunes Golf Club, and Guy J Tedesco Park. Of course, you can simply kick back in your villa or cozy up with a book or glass of wine on the number of shaded outdoor chairs and tables sprinkled throughout the property. The accommodations themselves feature antique-style decor and design that reflect the surrounding nature. Some Grotto rooms, close to the Grotto pool, have patios and scenic views, while the newly renovated Soulstice and Casa Blanca rooms and suites are all about being green with organic linens, sustainable latex beds, and energy efficient fixtures. Which brings us to another aspect we love of this independent resort: it's set to become 100 percent carbon neutral next month, when it completes the construction of its own solar farm. 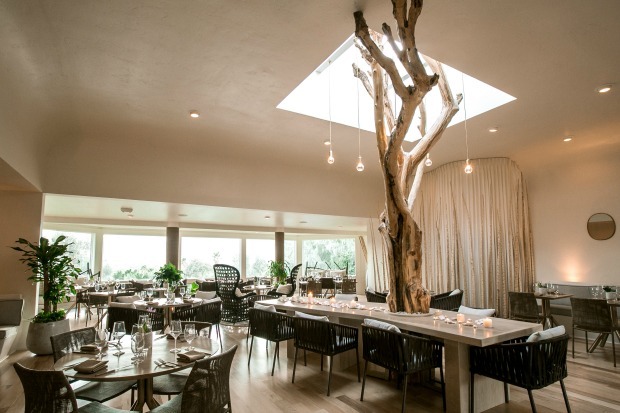 When it's time to fuel up, Essence Restaurant serves up good-for-you meals with local ingredients -- created by Le Cordon Bleu-trained Chef Cossi Houegban -- paired with views of the Santa Rosa Mountains. Breakfast might include a papaya mango smoothie with Greek yogurt, bee pollen, and organic honey, or an egg white omelet stuffed with organic veggies, local cheese, and homemade salsa. Dinner delivers more global fare, from grilled Mexican gulf prawns with green curry coconut broth to citrus Scottish salmon served with a balsamic yogurt sauce. Celebrating a special occasion? Splurge on one of the Two Bunch Palms Spa's superbly creative treatments. The 7 Centers Chakra Balance Massage ($189 for 80 minutes), using seven different oils corresponding to the body's different energy points, and Aqua Reflexology ($89 for 30 minutes), where traditional reflexology is performed as you float in a WATSU pool, are just two examples. For men, the 90-minute Signature Desert Oasis FaceTime with a back scrub, massage, and a facial ($199) is popular. Some staff swear that that Two Bunch Palms was a hideaway of Al Capone--though others say that Robert Beaumont, the property’s owner in the 1980s, started that rumor after staying at an Arizona hotel that also claimed to the legendary mobster's former refuge. Whether or not you believe the tales, staying in the resort's two-bedroom suite with a fireplace, private patio, and vintage furniture named after Al Capone is certainly one for the books.